Interpreting and translation are two closely related linguistic disciplines. Yet they are rarely performed by the same people. The difference in skills, training, aptitude and even language knowledge are so substantial that few people can do both successfully on a professional level. On the surface, the difference between interpreting and translation is only the difference in the medium: the interpreter translates orally, while a translator interprets written text. Both interpreting and translation presuppose a certain love of language and deep knowledge of more than one language. The differences in skills are arguably greater than their similarities. The key skills of the translator are the ability to understand the source language and the culture of the country where the text originated, then using a good library of dictionaries and reference materials, to render that material clearly and accurately into the target language. In other words, while linguistic and cultural skills are still critical, the most important mark of a good translator is the ability to write well in the target language. 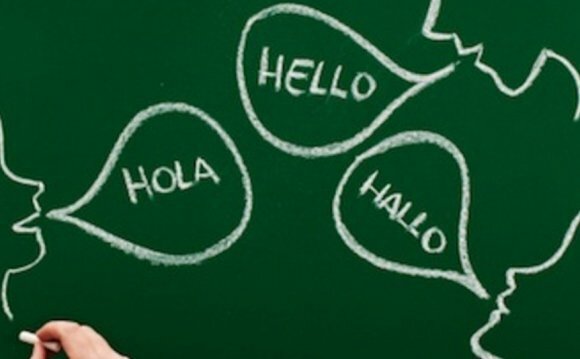 Even bilingual individuals can rarely express themselves in a given subject equally well in both languages, and many excellent translators are not fully bilingual to begin with. Knowing this limitation, a good translator will only translate documents into his or her native language. This is why we at Language Scientific absolutely require our technical translators only translate into their native language, in addition to their subject matter expertise. An interpreter, on the other hand, must be able to translate in both directions on the spot, without using dictionaries or other supplemental reference materials. Interpreters must have extraordinary listening abilities, especially for simultaneous interpreting. Simultaneous interpreters need to process and memorize the words that the source-language speaker is saying now, while simultaneously outputting in the target language the translation of words the speaker said 5-10 seconds ago. Interpreters must also posess excellent public speaking skills and the intellectual capacity to instantly transform idioms, colloquialisms and other culturally-specific references into analogous statements the target audience will understand. Interpreting, just like translation, is fundamentally the art of paraphrasing—the interpreter listens to a speaker in one language, grasps the content of what is being said, and then paraphrases his or her understanding of the meaning using the tools of the target language. However, just as you can not explain a thought to someone if you did not fully understand that thought, neither can you translate or interpret something without mastery of the subject matter being relayed. It simply cannot be overstated: when choosing an interpreter, his or her expert knowledge of the subject matter is equally as important as their interpreting experience. (See the section "Why Subject Expertise Matters for Technical Translators" for a more detailed discussion of the importance of subject matter knowledge for technical translators and interpreters). Indian English is an umbrella term used to describe dialects of the English language spoken primarily in the Republic of India. Distributed Language Translation or Distribuita Lingvo-Tradukado (DLT) was a project to develop an interlingual machine translation system for twelve European languages. It ran between 1985 and 1990.